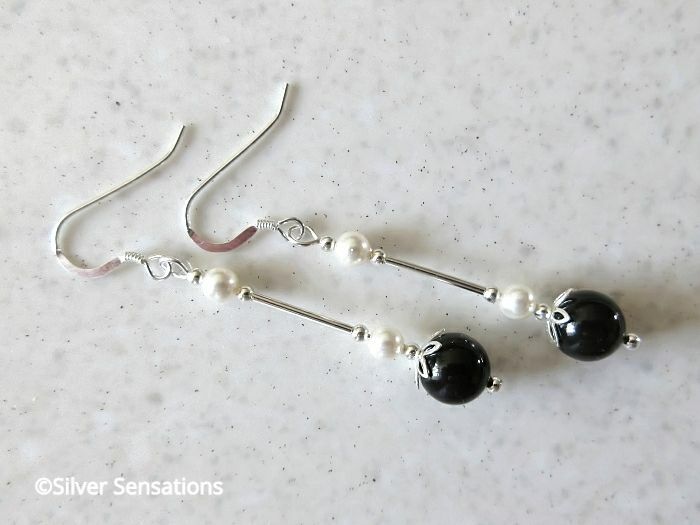 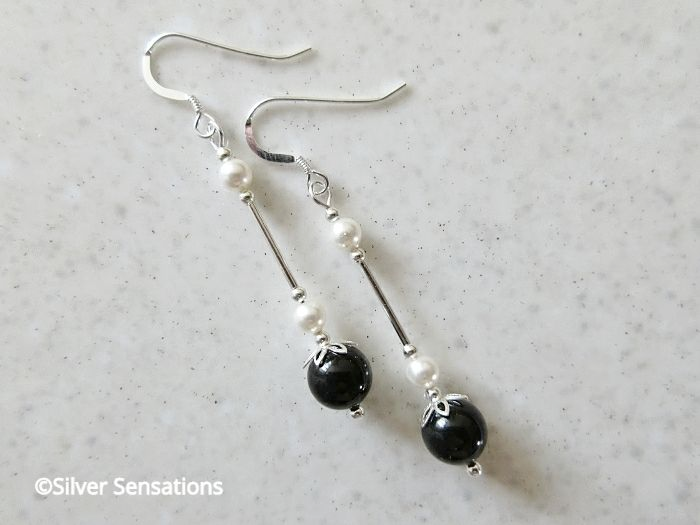 These elegant black & white wedding earrings have been handmade with beautiful Swarovski Pearls from the Swarovski Elements range. 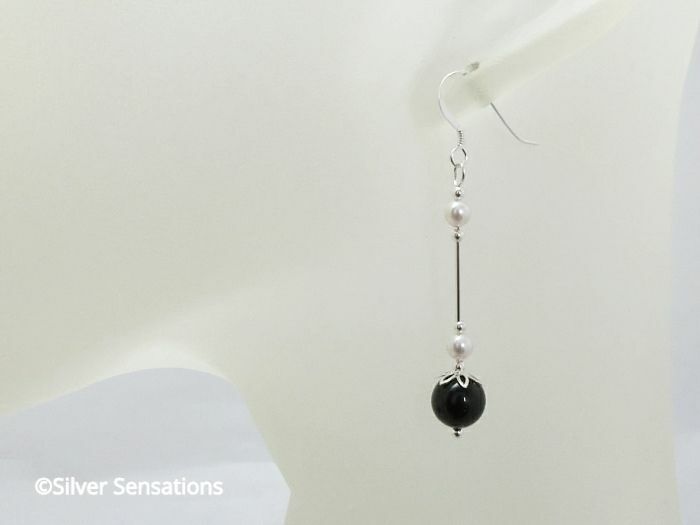 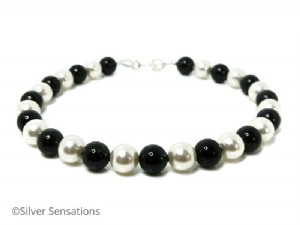 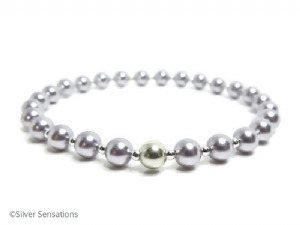 At the bottom of each earring is an 8mm jet black Swarovski Pearl with 2 x 4mm white Swarovski Pearls creating a monochrome effect. 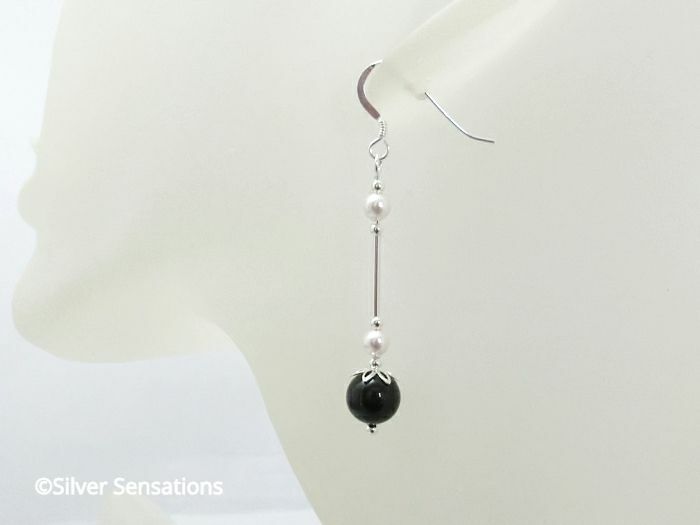 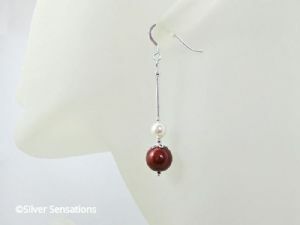 These elegant earrings are 48mm in length, from the top of the coil on the ear wires, and hang from Sterling Silver ball dot headpins & high quality ear wires. 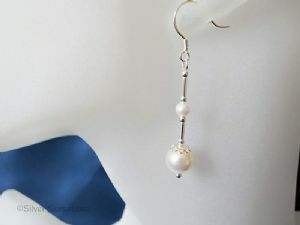 These would make perfect earrings for bridesmaids, proms and for any occasion.